I never forget to drink every morning. Great post, love your winter chill fighting arsenal! That turtleneck is amazing! Glad to hear you are feeling better, Trang! I love sweaters this time of year, too. Love the sweater! Great post! Pretty turtleneck sweater...looks cozy and soft!! I also use Vitamin E on my face at night. It's great! I remember using brain quest when I was a kid! Also, I absolutely love your turtleneck. The color is amazing. I'm sorry you were so sick, Trang! My skin has been very dry, too. I'll try your Vitamin E face mask. Have a great week! My skin gets crazy dry in the winter too, I might have to try that face mask! Great post. Nice post ... I love the cards good idea for moms! I'm seriously loving turtlenecks right now too! Great post! Turtleneck sweaters are really a must in this weather! You look so pretty and that turtleneck suits you so much - I love the pastel shade a lot! Also I had completely forgot that Zara did fragrances, I must check them out. It is that time of the year. My son also had conjuctuvitis and is on antibiotics and also my verybody here at home has cold and cough and me, oh boy, been tryong to fight it. It has not gotten me yet. I've been drinking tea with honey and lemon, and lemon with orange on my water. Taking all those natural vitamin C. I hope you feel better. Thaks for sharing this. Glad you're feeling better, Trang! I just discovered Simply Balanced tea and it's so delicious! What flavor is your favorite? I'm looking to try more than the detox tea I have :) Hope you're having a great week! The Zara perfume sounds amazing...definitely want to try it out! Great favorites! Oh no! How did you get an eye infection! Hope you're feeling better now girl! Love that turtleneck on you! I would like to try out some Vitamin E products now! What a beautiful colour that turtle neck! And that vitamine e looks great. Glad to hear you're feeling better now! The turtleneck sweater looks great on you! I've never really liked them myself because I always thought they looked frumpy, but I've been seeing them everywhere and I'm starting to rethink that now! I love drinking green tea with honey and lemon, it's the best thing to have on a cold day. Wow you leave on the mask for 3-4 hours? Do you think it might work to leave it on overnight? Or would you suggest against it because of how sticky it is? I love that turtleneck, what a surprising and fun winter color! Turtleneck and black tea sounds like a chilling afternoon in this cold weather. Zara fragrance is lovely! This turtleneck looks so cozy! I know the pain with drying them flat - but it's worth it in the long run. I drink lots of green tea, too, but had no idea that I could add something to it. I must try your suggestion with lemon and honey, as I'm a bit bored with its natural flavour. Glad you are feeling much better! That vitamin E oil looks amazing to try! I need something like that, especially in the winter. Keep smiling! 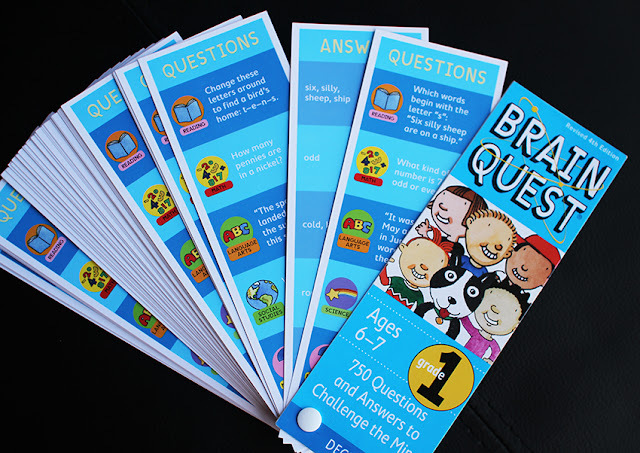 I used to play with BrainQuest as a kid all the time! I totally forgot about them! Wow, I have to try the vitamin e as a mask trick. I love drinking tea as well my fave is earl grey and white tea. Cảm ơn những chia sẻ rất chân thực và bình dị của Trang. Chúc bạn có một Mùa Ấm và an lành bên gia đình nhé. I've heard from many ladies that Vitamin E is great for the skin. I need to try this out myself. 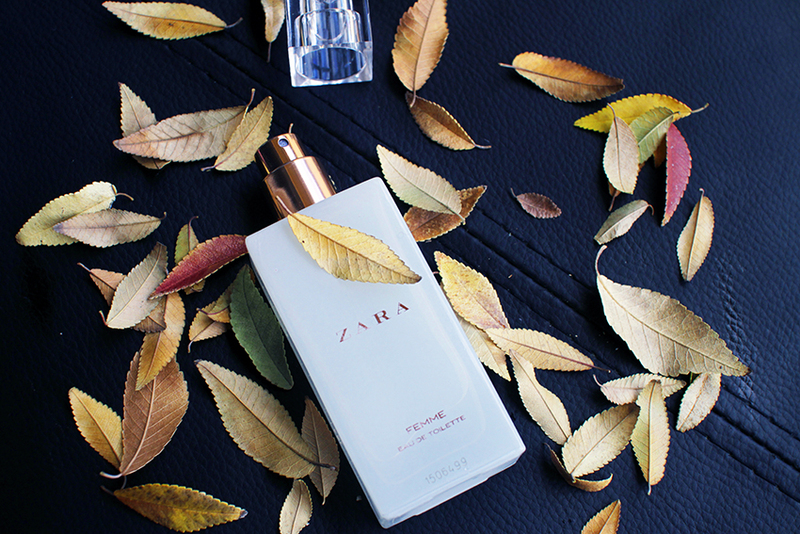 What a beautiful bottle from the Zara parfume! Lovely products, I guess I'd try out that Zara Fragrance. Oh my gosh! I used to love those Brain Quest cards when I was younger. It's definitely a great gift for kids. I am so happy you are feeling better. I am also a huge fan of green teas and turtleneck sweaters, by the way:) These are my winter must-haves, lol. 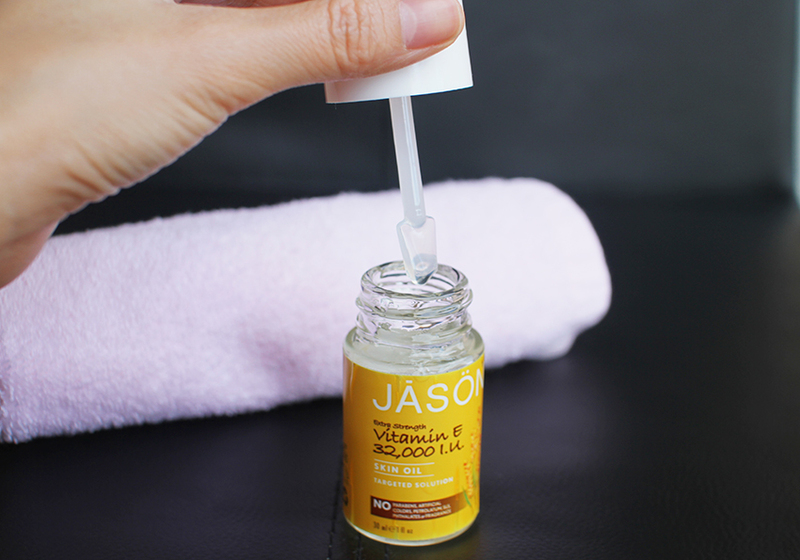 I never tried using liquid Vitamin E, but I would love to try it, since my skin gets really dry in winter. Thank you so much for sharing! Glad you are feeling better! Love turtlenecks and in particular the one you are wearing, the colour is so lovely! didn't know zara sold perfumes!! might need to check it out! Love love love green tea :) It was my night time treat growing up. But I used to add some honey. I'm also such a fan of e-Vitamin oil. I don't use it as a face mask, but I use it instead of a night cream. I love how fresh my face looks in the morning. i love this post! the idea for the spray.. perfect!! I've been living in turtlenecks too as well! They just so cozy! I've never tried just using Vitamin E on my face but now I am intrigued! Great post! You looks so happy. Sorry you haven't been feeling well! I am a total green tea junkie. I need to try that vitamin E.
Lovely post! I really want green tea now, and I remember Brain Quest being so entertaining when I was a kid. Good choice! 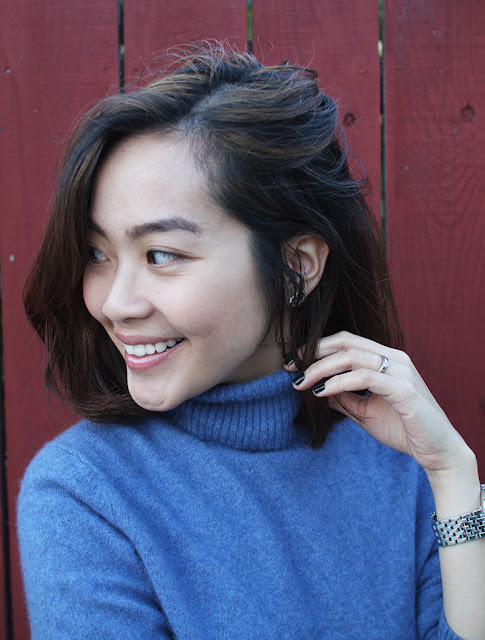 Such a great post, Trang! I think it's awesome that you play Brain Quest with Helen, instead of giving her the iPad. I grew up on games like this and it helps in excersing so many different skills, especially as they're still developing! Hope you are feeling better soon! I can totally relate to your turtleneck kick they are the best! ooh i've been wanting to try a vitamin c serum. so far i've been incorporating some AHAs / blue tansy -the smell is kind of awful but the results have been great! Yes to all of them except Zara fragrance, I haven't tried it yet :) Great favourites! I hope you are feeling better now. I hope you start feeling better, I love green tea its by far my favourite! Hope you feel better! I've been sick myself for the past little while! I may have to steal some of your tips. Turtlenecks are so awesome. They look so chic and classy :) And yay for green tea! I love drinking green tea too be the weather cold or hot :)! Glad you are feeling better. We have the same addiction: wearing turtleneck sweater! Haha... The color looks AMAZING on you! 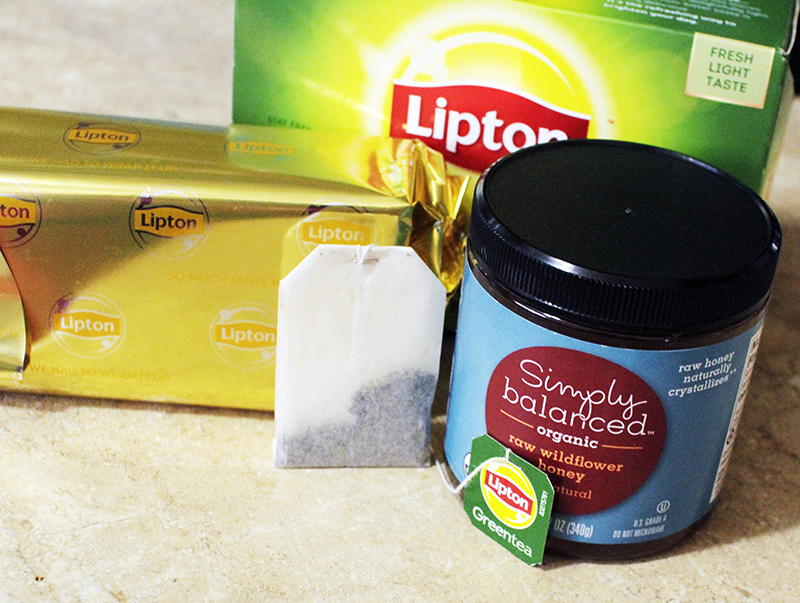 Love the Lipton green tea, it's really a soother when colds hit, which is pretty often in winter. Been living in turtlenecks myself, so I know what you mean! I've been wearing knits all month now and my skin is so dry these days! I could use that vitamin E face mask! Trang, Vitamin E is so great for skin! I love it too. Love this roundup...I had to laugh at the end though. I remember those Brain Quest booklets from yearsss ago! Have a wonderful weekend! great round up!! Loving the tea!! Great favs! I love that sweater so much! I also use vitamin E oil! It works wonders on dry skin. And I love turtlenecks! They're so cozy! Such great favorites! 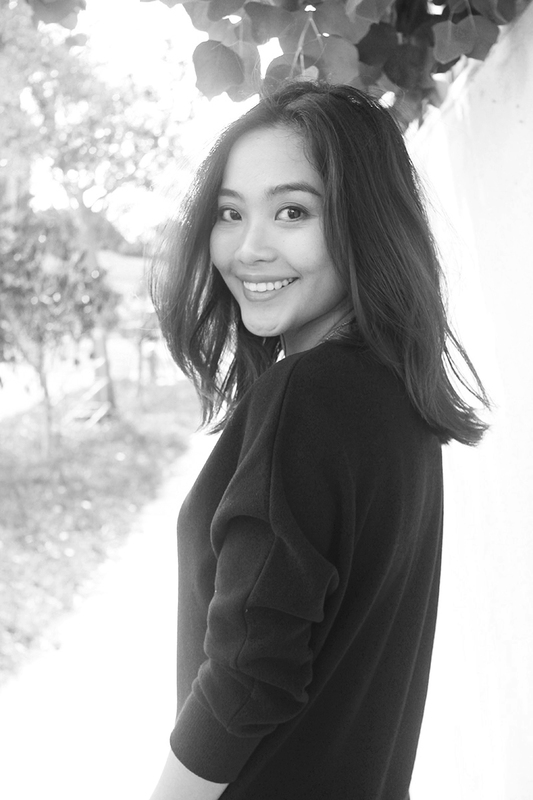 In love with your turtleneck sweater, looks so super cozy! Great post! Would like to try that Zara fragrance! You are beautiful, like to read this blog !! Sorry to hear you have been sick! Interesting post. I didn't know you could put vitamin E on the face! That's pretty cool. I, too, love turtlenecks and tea! My mom used to use Brain Quest with me, so fun! I'm also a huge fan of turtlenecks right now.